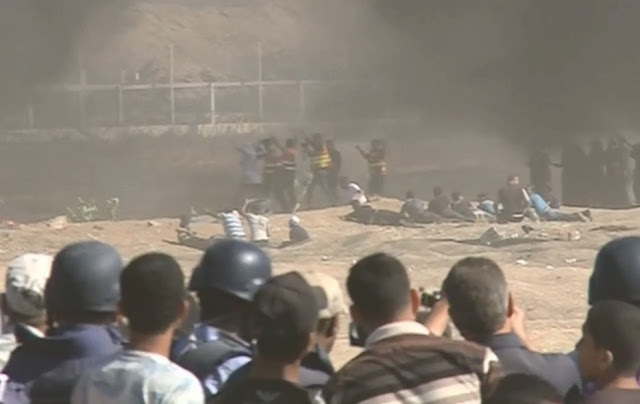 Gaza medics in identifying clothing approach wounded with their hands raised, but get shot anyway. You can contribute to support unarmed civilians being attacked by Israel's military here at Medical Aid for Palestinians. Besides being overwhelmed at work and at home, I'm struggling this week with the darkness that seems to be closing in worldwide. It's hard to say which I'm more troubled by: Israel's slaughter of unarmed civilians at the Gaza border while kleptocrats partied in Jerusalem; U.S. warmongering against Iran; or confirmation of a known pregnant woman torturer to head the CIA. 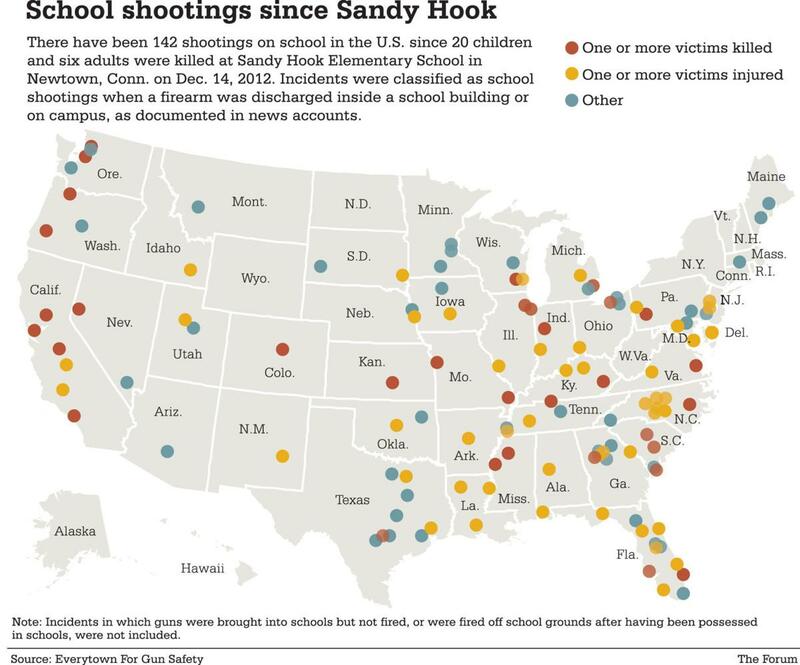 Yesterday there was another mass shooting at a high school, this time in Texas. The NRA, the enforcement arm of kleptocracy that keeps us all fearful, took time out from harassing teens who've survived school shootings to put convicted felon Oliver North at its helm. Families began being ripped apart at the border as migrants fleeing violence in Central America attempted to cross over to safety. And, needless to say, the ongoing bad news of weapons corporations using taxpayer funding to lobby elected officials for tax breaks on top of the already gargantuan military budget with its attendant austerities for the people -- rolled on. 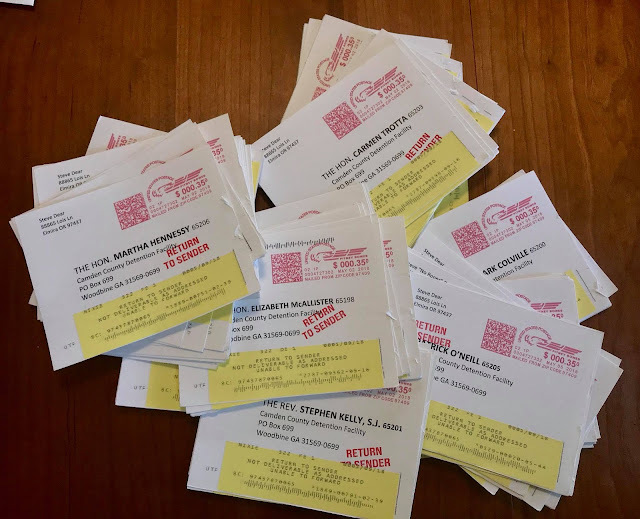 Then there were the small discouragements: all my postcards to Kings Bay Plowshares anti-nuclear activists were sent back rather than delivered. This small cruelty to the activists was expected because other correspondents had posted photos of their undelivered regulation post office issue postcards earlier in the week. I know that my first batch of postcards a few weeks ago were received, because I got replies from several of the conscientious objectors to nuclear warmongering. They were all arraigned last week and if they care to can post a $5000 bond and submit to house arrest with ankle monitors pending their trial. You can contribute to their bond fund here. I've said before that I write this blog to keep my head from exploding as I attempt to process the bad news of our times. Clearly, I should spend more time reading my friend Cecile Pineda's newsletter which always ends with a Roses Among Thorns section sharing encouraging, uplifting, hopeful current events. Thanks, Cecile, for your pinpoint of light shining in these dark times. among many other books, novels and plays.